Congratulations on your upcoming wedding! 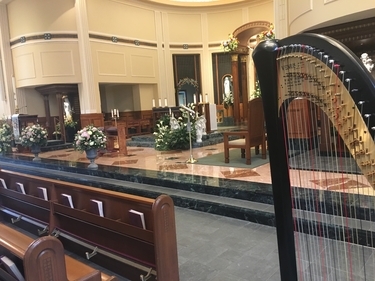 As a professional harpist, I enjoy working with couples to enhance their ceremonies with live harp music. 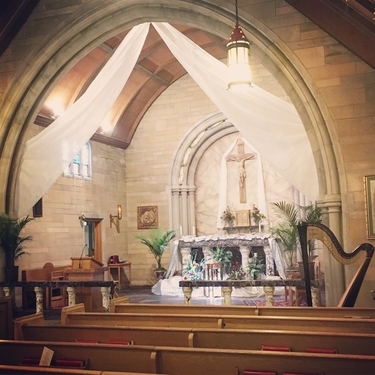 I have extensive experience playing for Catholic weddings, both with the full Nuptial Mass and with only the wedding service. I can assist you with making musical choices that are beautiful, appropriate, and within the guidelines of the Catholic church. This service format is also offered for first communions, christenings, and baptisms.